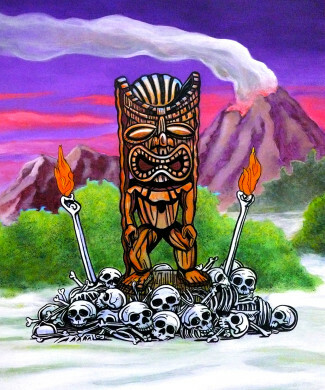 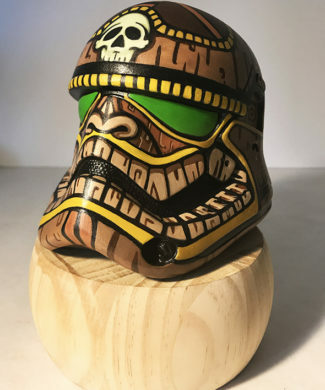 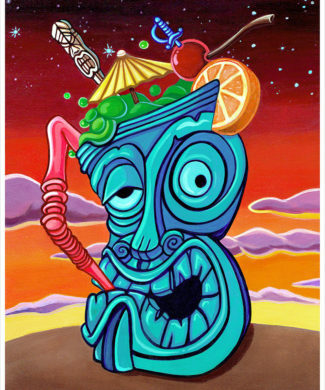 This little Tiki god is a smaller version of a larger painting that I made with Brad Tiki Shark Parker. 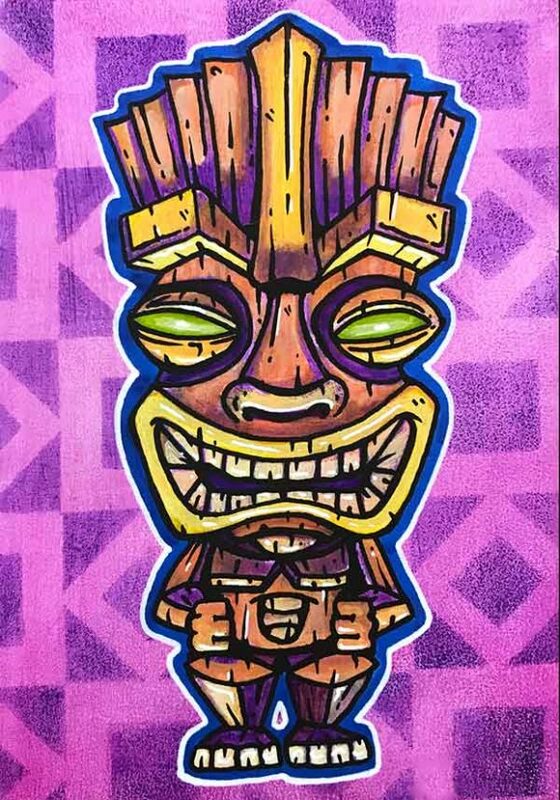 This little Tiki god is a smaller version of a larger painting that I made with Brad Tiki Shark Parker. Made with acrylic on birch panel it measures 5.5″x4″ and comes unframed.